Yahoo, have you heard the news yet? You can now order new accessories for the Stamparatus! I put the Small Grid Paper (149621) on my order first thing! It’s great if you use the foam mat while stamping. Just place it directly over top for perfect alignment every time! Visit my Online Store to see all of the new items. Something beautiful “this way comes”! 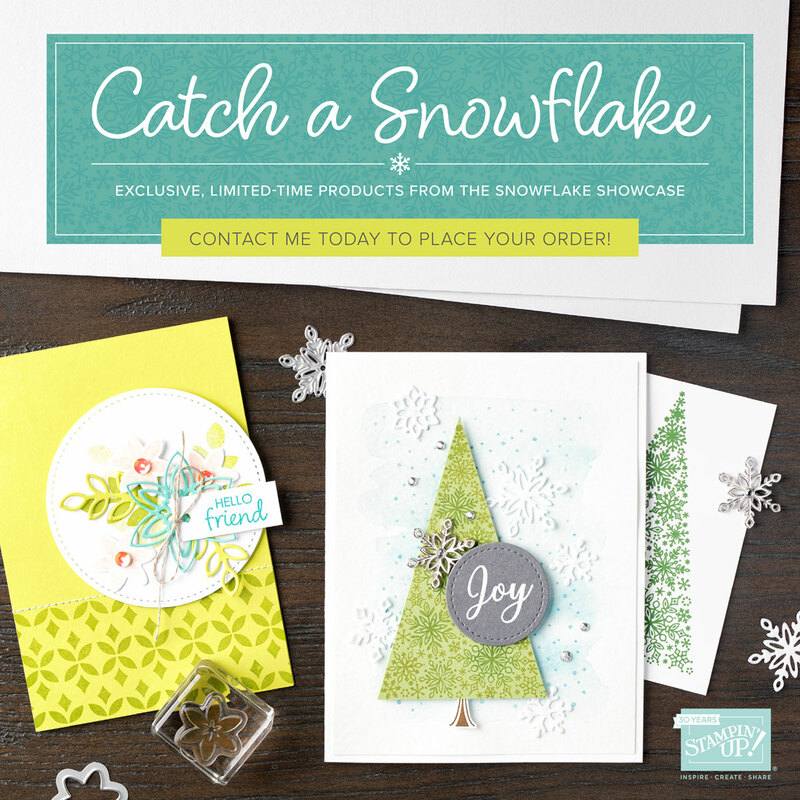 On November 1st, 2018 you will be able to order items from the very beautiful Snowflake Showcase! Snowflake Trinkets, Snowfall Thinlits Dies and White Velvet Sheets of cardstock. This too, was put on my order and I will be sharing samples with you as soon as they arrive in my eagerly waiting hands! Take care and Happy Stamping!